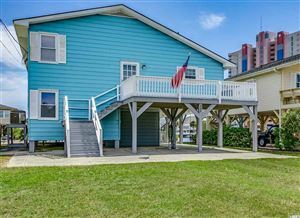 This gated, well established, but by no means old community of single-family homes in Windy Hill, North Myrtle Beach, is just two blocks from the sand, surf and fun of the Atlantic Ocean. Homes at The Heights at Windy Hill offer a truly great value among North Myrtle Beach homes for sale. Located just off 43rd Avenue South, this neighborhood of mostly 3 and 4 bedroom contemporary homes showcases a variety of floor plans and in sizes ranging from to 1,500 to 3,000 square feet. Most Heights at Windy Hill homes are between 10 to 15 years old and are priced between $200 and $250,000. Convenient to the unique shopping, dining, and entertainment experience of the world-famous Barefoot Landing as well many great local golf courses, there’s never been a better time than NOW to invest in your future with a home in the Heights at Windy Hill section of North Myrtle Beach. This is a very small subdivision, and it is rare to find one listed for sale. There are occasional lots and homes, so if you are interested in the Heights at Windy Hill, it is best to call 843-839-0200 for more information. You may also visit our main website for RE/MAX Southern Shores for all North Myrtle Beach and Grand Strand real estate and learn more about the area. As the #1 selling real estate agency along the Grand Strand, RE/MAX Southern Shores agents can assist you with purchasing a primary residence or investment property at the Heights at Windy Hill that is suited to your needs. RE/MAX Southern Shores’ reputation has been built upon unsurpassed customer service skills and long-term client relationships resulting in “clients for life.” RE/MAX Southern Shores agents focus on YOUR wants and needs related to the home buying/selling process. Contact RE/MAX Southern Shores at 843-839-0200 regarding any Windy Hill or Grand Strand MLS listings. One of our expert agents can assist you in the buying aspects of real estate transactions by providing you with detailed information for any listed real estate. 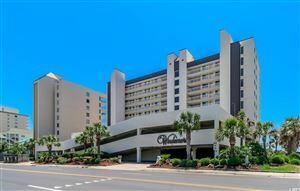 If you love the serenity of beach living and want one of the best kept secrets on the oceanfront, The Heights at Windy Hill is the ideal North Myrtle Beach home for you. Contact RE/MAX Southern Shores today at 843-839-0200 to talk with an agent about making The Heights at Windy Hill your next neighborhood!